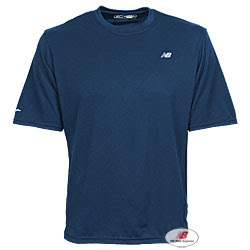 The men's Tempo Tee is a great basic top for running. It holds up well in cooler weather and warmer weather. But this is not just a top for running, it would be great for all outdoor activities. I really enjoyed the wicking properties and the ability of this shirt to keep me dry. And priced at $28.99, this shirt is a great value. The top also washed really well in cold water. Like the Tempo Tee, the Vega Short is also very comfortable in cooler or warmer weather (variety of climates). Some special features of this short are the Phantom Waistband™ for a comfortable fit (you don't even know the shorts are there, they are that comfortable) Cadence light fabric for a lightweight feel, and Lightning Dry™ fabrication to keep you even more comfortable. This is an excellent running short for the elite as well as the novice runner. The mobility is great, and with 5 inch inseams, it gives adequate leg coverage. This is the most comfortable short I have ever tried! This short also washed really well in cold water. Tom gives this outfit (tee and shorts) a grade of 24 miles! Any other runners out there tried the Tempo Tee or the Vega Short? If so, let us know how it performed!